Chocolate is one of the most beloved and revered foods in the world. Even its Latin name, Heobroma cacao, means "food of the gods." There are so many things to love about this ancient food: it's delicious taste, its creamy texture and how it just seems to make you feel happy. Well, it turns out there's actual science behind that temporary surge of joy that chocolate offers. And it's the exact same science behind why CBD may affect a positive mood. It’s all about a little compound with a big name: anandamide. Cacao (the main ingredient in chocolate) and hemp-derived CBD both naturally contain AEA as well as compounds (N-acylethanolamines) that slow its breakdown. It works like this: we all have an enzyme known as fatty acid amide hydrolase, or FAAH. Once anandamide enters a cell, FAAH starts to break it down. In other words, FAAH is a big killjoy. The good news is that both CBD and chocolate interfere with FAAH’s ability to break down anandamide, giving our own naturally-produced bliss a longer lifespan. To get the most anandamide from chocolate, eat dark rather than milk chocolate. Even better, eat cacao nibs which contain no sugar and are a more concentrated source of chocolate’s beneficial compounds. 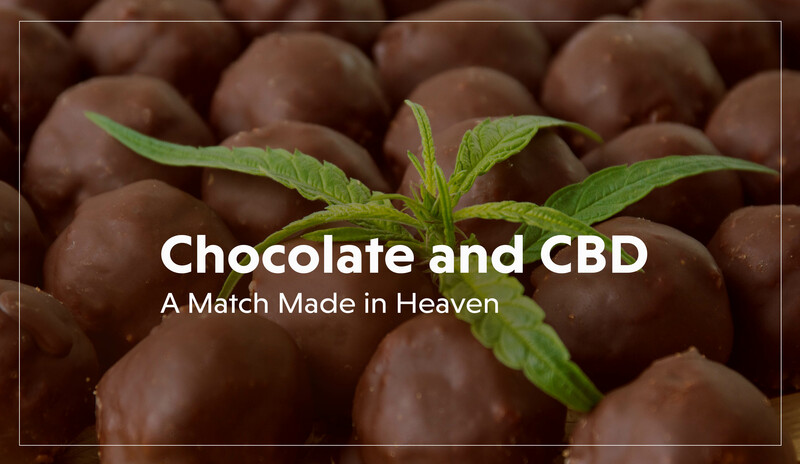 Or, if you really want to take your bliss to the next level, try a recipe that combines chocolate and CBD for a turbocharged treat that won't make you high, but can promote your body’s natural ability to get high on life. Bring on the bliss! Have more questions about CBD? We’ve got answers. Click the buttons below to check out our extensive CBD FAQs or watch our FREE CBD webinar.